It is our goal to provide quality legal service to the local small businesses and professionals in the South Puget Sound region. 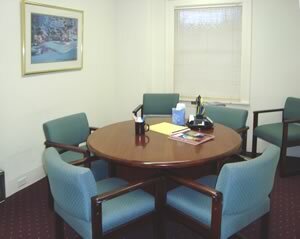 The nature of our law practice is to offer sensible advice and a cost-effective legal solution. Whether you are buying or selling a business or are just looking for legal advice we are a professional law firm with over 50 years of experience. Our law office can assist you with a rental agreement for your tenant or a zoning issue on a real estate development. Our law firm is a recognized expert in Business Law and Real Estate Law and have been professionally representing the local business community with contracts and other corporate documents since 1956. Be very careful not to make any important legal decisions alone. Throughout the many years we have practiced law and provided legal advice, we have gained an enormous knowledge of litigation and have over 50 years experience handling Entrepreneur and Real Estate Development legal issues. Our client bases is made up of everything from a start up small business to a more advanced professional medical practice. We protect the legal rights of the smaller property management firms that manage 1-10 rental properties but also larger corporate held multi-family properties with hundreds of tenant agreements. We know the law and are able to help with all your small business and real estate legal issues. We are an excellent choice and our background and proven legal solutions have guided many clients along the right legal path. We are a general legal counsel and focus on providing each of our clients with quick response and we constantly strive to communicate and answer questions our clients have and are willing to call them on their cell phone or email them with status updates regarding their legal matters. Our local law firm has handled a broad range of legal support. We are experts in business law including business formation and planning. We have assisted in business purchases and many businesses that were for sale. Our legal staff has experienced numerous case loads and are able to streamline and research whether your case requires litigation, contract assistance or a partnership dispute and resolution. Each attorney in our office is dedicated to providing each of our clients with a custom aligned legal representation that is personally tailored to your legal needs. If you are ready to start a business it is important that you seek the right legal advice. Important decisions are before you and each decision you make can put you on the track towards success and assure you with the most successful tax structure possible. It is most important that you make decisions carefully so that you can protect your personal assets, minimize taxation and take complete control of the direction you want your new business to go. We are a select team of small business attorneys that assist in all phases of business law. Whether you are a brand new corporation or in the process of passing the business on to the second generation. We are able to provide sound legal advice that can save your family or professional partnership the important resources needed for continued success. Our legal services are able to protect the legal rights of both buyers and sellers of residential and commercial property. We are able to assist with the buying and selling of real estate. Perhaps you're developing a piece of land or wish to build a commercial building and have numerous zoning concerns. Our expertise will make your real estate transaction a much more graceful process. We are able to assist in property transactions that are simple or more financially complex. We are able to guide each transactions that faces possible real estate taxation problems also; we are a pro-active law firm not a reactive legal counsel. We are a professional law firm that has been protecting the rights of both buyers and sellers for over 50 years. We are able to assist first time buyers, Individuals, Families, Estates and Businesses with Real Estate Law procedures in the State of Washington. If need be, we will proceed and protect your legal rights first with a well planned negotiation and then are willing to continue to take the case to mediation and will aggressively represent each of our clients in arbitration and jury trial if that would be in our client's best interest. We are very careful to account for our time and provide detailed analysis for each of our services. We are the first to realize that if we pass the savings on to our client that they will request and refer our services to business associates and also friends or relatives. Our law firm has remained small so that we can keep the rates affordable and provide a personable and well valued legal service to each of our clients. The Law offices of Roller, Vernon & Powers would like to thank you for visiting our site and we welcome the opportunity to provide you with the legal assistance you are looking for. Please give us a call today or email us for a prompt response to your legal questions. Free Initial Consultation & Prompt Aggressive Representation.